"Educating through the curriculum is key to creating an enlightened environment in which our teachers and students can thrive and be who they want to be without fear of discrimination." Elly Barnes. 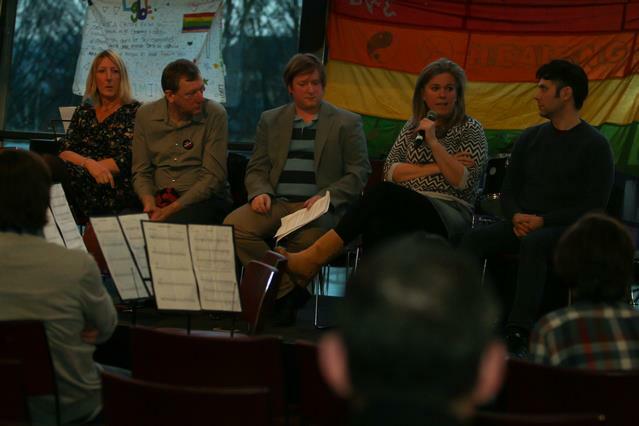 As Co-chairs of Islington Council Staff LGBT Forum, David Dickey and I felt like proud dads yesterday (Thursday 28th February) as we mingled with the assembled teachers, schoolchildren, campaigners and representatives of one of the UK's top football clubs, Arsenal (no actual footballers in attendance, more's the pity). The occasion? 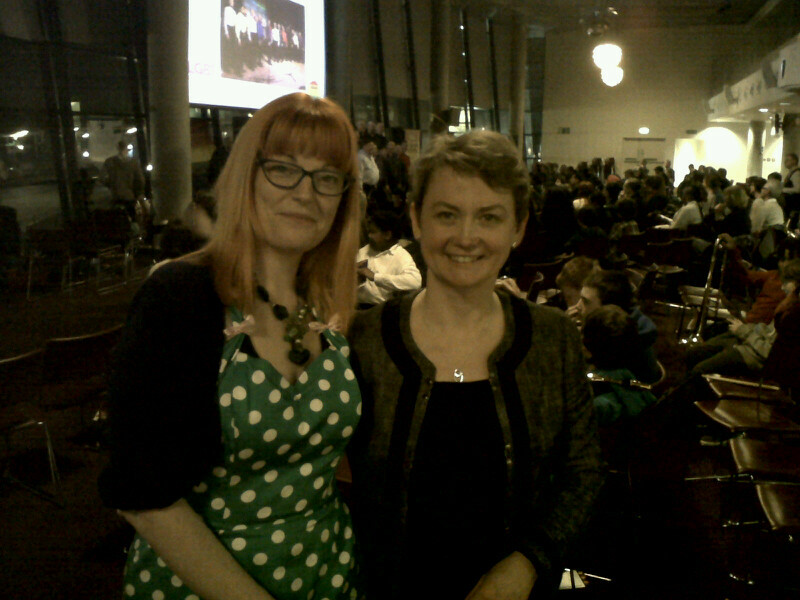 The Educate and Celebrate Showcase (organised and set up by local teacher Elly Barnes, who was rated No.1 on the Independent’s "Pink List" of the unsung heroes and heroines who make life as a lesbian, gay, bisexual or transgender person better), which also happened to be the closing event of Camden and Islington LGBT History Month. 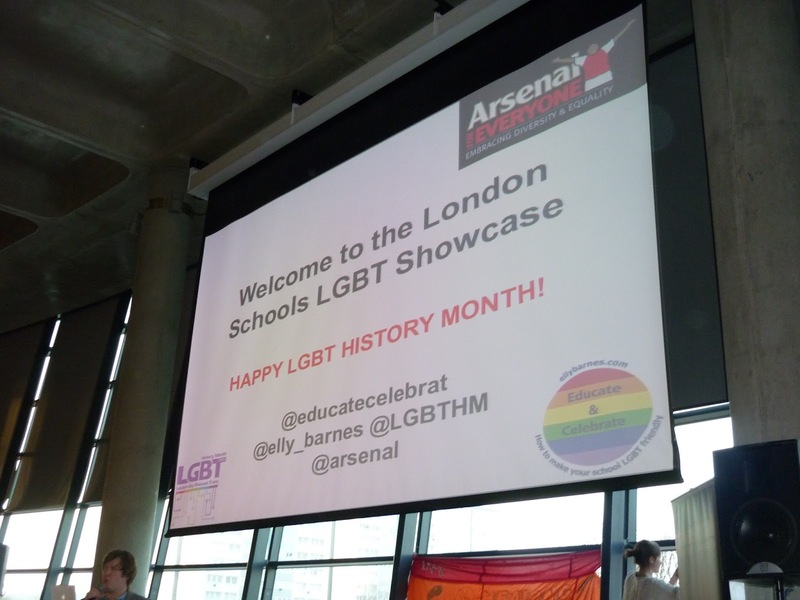 "Watching Arsenal play at the Emirates Stadium last Saturday afternoon there were rainbows on the screens and the words 'Arsenal for Everyone supports LGBT History Month.' In the week that Robbie Rogers came out as gay I guess it was good to see. It prompted some wags in the crowd to then chant, 'we're not homophobic, we're not homophobic, we're not homophobic anymoooore, we're not homophobic anymoooore.' Ha ha." We were there for the debate, but there was a lot more to the day's events than that. A "Football vs Homophobia" match had been played earlier in the day, and even politicos were there to show their support. 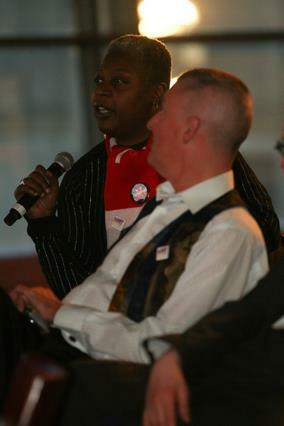 Taking part in the discussion itself [see photo at top of page] were trans activist Delia Johnston, spokeman for the LGBT Arsenal supporters club "The Gay Gooners" Stuart Selby, Chair of Camden LGBT Forum Nigel Harris (whose magical string-pulling talents had made the month such a massive success), Pride Sports UK Executive Director Lou Englefield, and Gay Games supporter and president of Phoenix FC gay football club Leviathen Hendricks. It was a lively debate, covering topics and challenges ranging from why there are no out-gay footballers in any league in the UK, what it means to be a transgender person in sport, challenging bigotry in all its forms - from the school playground to the football terraces - and why "name-calling" is not as harmless as it could be perceived. What impressed me most, however, were the contributions of the kids in the audience, and how au fait they were about the issues. Some (older ones) may have come to terms with their own identity, but even the younger ones seemed to have a wise head beyond their years. It was a well-constructed and useful session, and I thoroughly enjoyed it. Unfortunately having been double-booked, I could not stay for the rest of the evening's entertainment - which included music, readings and drama performances - but I am assured that everyone found it a rewarding experience, as pupils from schools in some of our multi-cultural inner-city (often perceived as "difficult") areas all performed under a rainbow banner! "Year 7 students explained how they had studied Alan Turing in ICT. A year 10 student sang “Dead End Justice” in tribute to the 70s band The Runaways. She explained how lyrics of the band, whose two female singers had a lesbian relationship, had helped her in working out her bisexual identity. Another student moved those around me to tears with the song she wrote herself about dealing with hate." 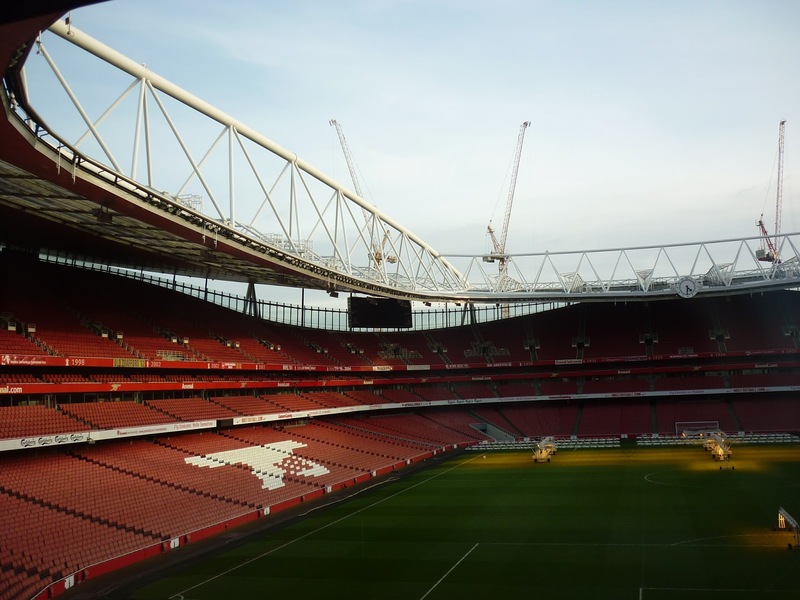 "That the event took place at the Emirates Stadium felt a significant step, at a time when there are no openly gay professional footballers. Samir Singh from Arsenal in the Community talked of how proud they were to be hosting the LGBT celebration and indeed the club’s web site promotes its support for LGBT month. 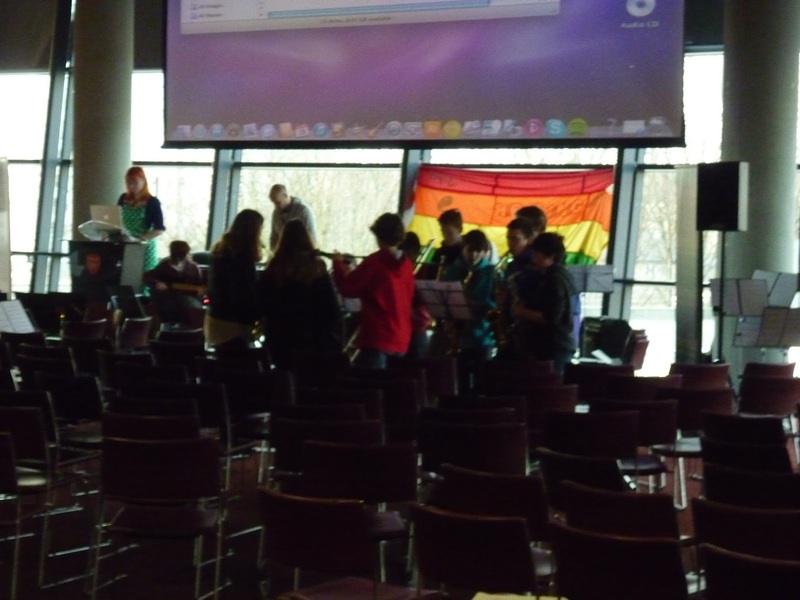 A huge congratulations to Elly Barnes... and to all the staff and students involved for their great work..."
Lou Englefield, speaking after the event, said she was encouraged by how young people received the campaign against homophobia in football. 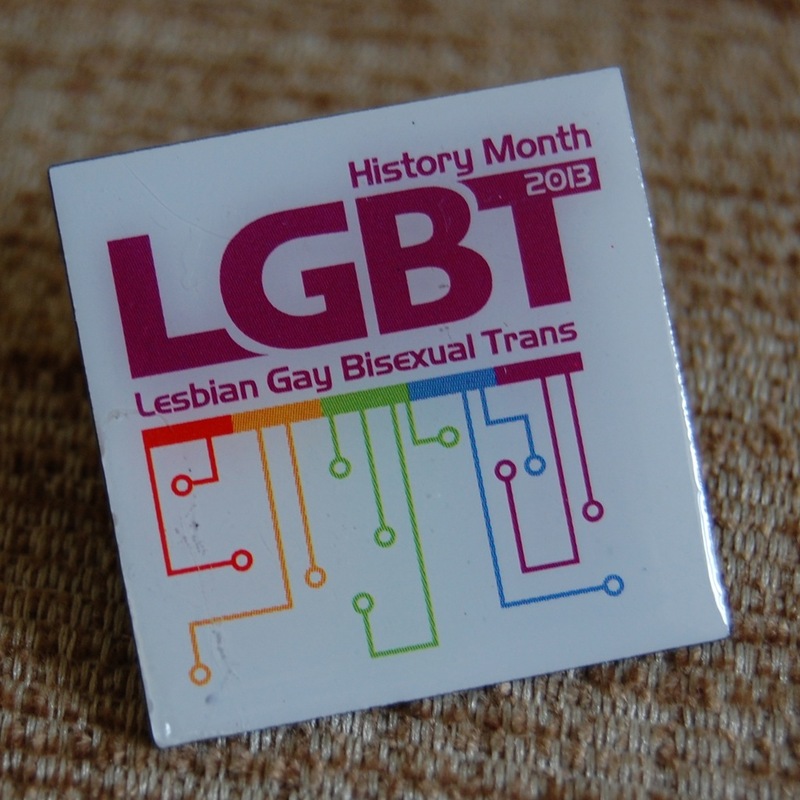 Roll on next year's LGBT History Month! Freak out in a moonage daydream, oh yeah!